Police are asking for the public’s help in finding a Long Beach man considered armed and dangerous and wanted in connection with an attempted murder last month, according to the Long Beach Police Department (LBPD). 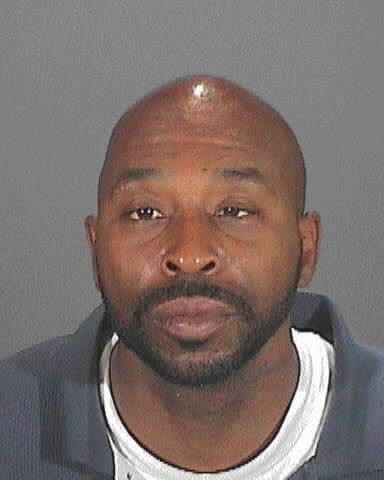 Norval Lamount Hartley, 46, is suspected of shooting a woman on Sunday, December 27, near Willow Street and Maine Avenue. According to officials, police arrived at the location at about 12:40AM and found the woman with a gunshot wound to her upper body. She was then transported to a local hospital where she remains hospitalized in stable condition. The woman was not the intended victim of the shooting, LBPD officials stated. Through an investigation by homicide detectives, Hartley was identified as the suspect. On Wednesday, January 20, the Los Angeles County District Attorney’s Office filed attempted murder charges against Harley and issued a $3.1 million warrant for his arrest. Hartley is described as black, 5 feet, 11 inches, 180 pounds, with a bald head and brown eyes. Police said he has an extensive criminal history for violent crime and has served time in state prison. Anyone with information regarding the whereabouts of Suspect Hartley is urged to contact the Long Beach Police Department Homicide Detail at 562.570.7244. Anyone wishing to remain anonymous may call 1.800.222.TIPS (8477), or text TIPLA plus your tip to 274637 (CRIMES), or visit www.LACrimeStoppers.org. Above, left photo of suspect Norval Lamount Hartley, 46, courtesy of the LBPD.